For ardent baseball fans and a long time followers of the music of R.E.M., Dream Syndicate, Young Fresh Fellows, Minus 5, Steve Wynn and the Miracle 3, the all-star group that performed on Wednesday at the Bowery Ballroom was the best of all worlds. 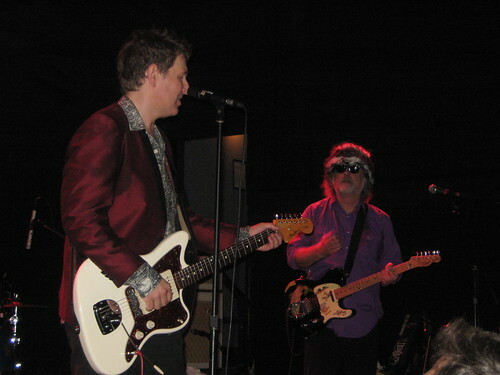 The foursome of Steve, Peter Buck, Scott McCaughey and Linda Pitmon performed over two and a half hours of music which encompassed far more material than their 2008 collaboration on The Baseball Project. 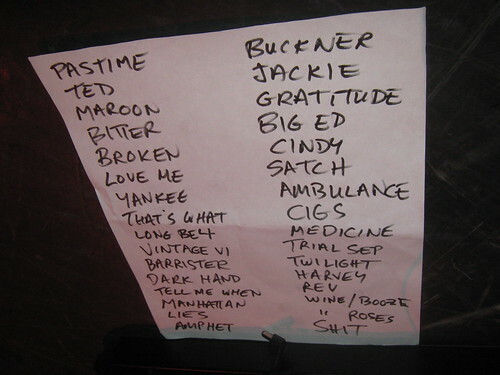 While the concert did include 11 of the 13 tracks from Frozen Ropes, the two full sets and thirty-seven songs performed also drew from the lengthy catalogs of the group’s members, including some Dream Syndicate classics, material from the several Minus 5 albums, songs from the new Young Fresh Fellows release, and even three new songs from the anticipated second Baseball Project album. Now well into this current tour, the band was tight and stretched out quite a few of the numbers. As always, Scott’s banter was highly entertaining and gave a true irreverence to the evening. We recorded from our standard position at the Bowery with the four microphone rig and the sound quality in the venue was quite exceptional. This is an excellent recording with no flaws whatsoever. Enjoy! 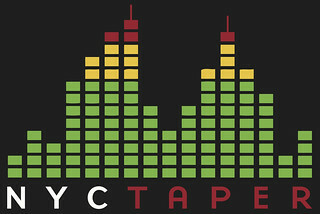 If you email nyctaper for access to this recording, we expect that you will PLEASE SUPPORT The Baseball Project, visit their website, and purchase Frozen Ropes directly from the Yep Roc Records site [HERE]. Nice timing: Yankees clinch the East, Ichiro was ejected for the first time in his career and you post this show. Good job. BIG BIG THANKS for this fanastic recording of an outstanding concert. WISH THEY’D COME TO EUROPE WITH THIS SHOW !! This is a truly significant sound document. Dream Syndicate practically kicked the alternative/Indie music era into gear. Their first EP has always been an all-time favorite of mine. To hear some of those pieces interspersed with the great Baseball Project and everything else is Uberincredible.